All our joinery is made at our own works in Chessington, from fine quality timber, well seasoned and sourced from all corners of the world. 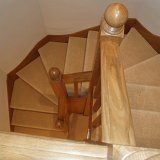 Our joinery is carefully machined and hand finished to the highest standards. We regularly work on listed buildings matching mouldings and one off pieces of joinery. 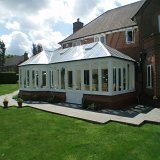 We have the craftsmen, skills and the experience to undertake all types of joinery. 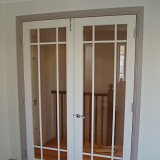 Whether you are looking for a replacement door, window, staircase or specialist mouldings, modern or traditional, feel sure you have come to the right company. In our spray shop we offer a wide range of finishes including specialist paint finishes. Exterior joinery is sprayed as standard in a Sikkens microporous primer/undercoat to maximise the life of the finish.